Umkhuleko Crèche has 87 preschool children who will now receive quality early childhood development in their newly built school, consisting of two spacious classrooms, a storeroom, and bathroom facilities. 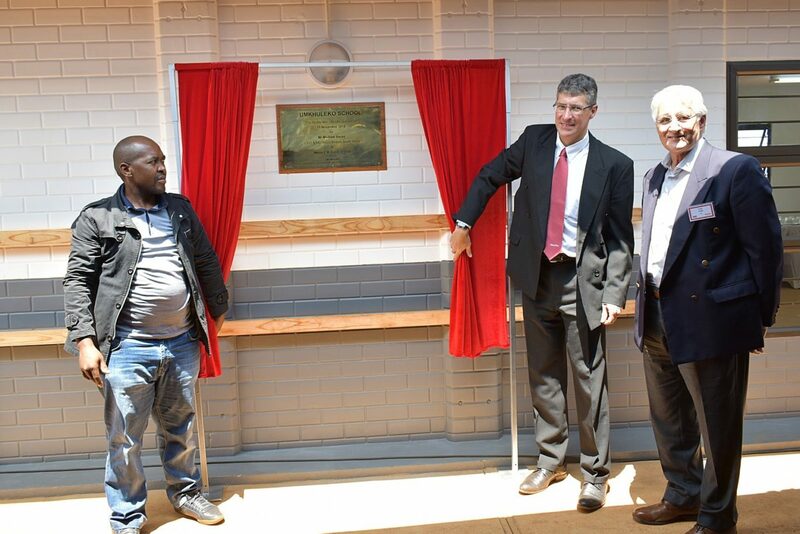 The new building was indeed the answer to many prayers, as the name of the crèche in Zulu “umkhuleko” means “prayer”. The children had previously been cramped into two small dark rooms, with no adequate bathroom facilities. 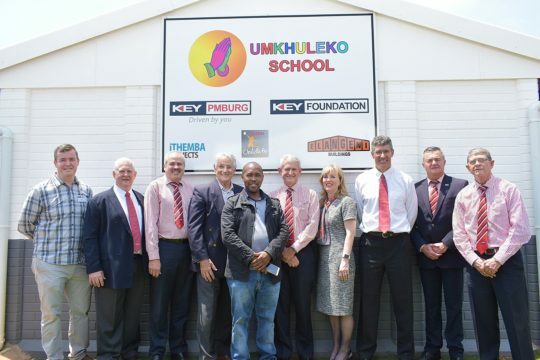 Key Foundation Chair Dale Southern was made aware of the needs of the crèche by one of the foundation’s corporate social investment partners, iThemba Projects. iThemba Projects Director Stu Walker and Southern identified Umkhuleko Crèche as the most needy and desperate of all the early childhood development facilities being mentored by iThemba. “This investment in the establishment of a crèche building shows long-term sustainability for the future. The children who will benefit from the crèche are given an early opportunity to develop their educational foundation in a safe and comfortable environment,” said Emanuel. The Isuzu Key team and strategic partners celebrate the opening of the seventh super project in Kwa-Zulu Natal. From left are Stewart Walker, Craig Uren, Tony Dos Reis, Colin Cowie, Prince Xolani Zondi, Paul Emanuel, Hilary Smith, Michael Sacke, Mike Hall-Jones and Dale Southern.